Downsizing can happen at any phase of life and for many reasons. 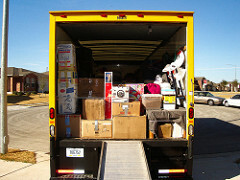 Moving, if it involves a major lifestyle change, can be an especially difficult and emotional process. Whether you’re moving yourself or assisting a family member or friend, there are ways to make the process easier and less stressful. If you’re moving to a smaller home, compromising on space doesn’t need to mean compromising on lifestyle. Think about how you currently use your existing space, what rooms go unused on a daily basis, how much time you spend on upkeep, plus the expense. Then look at how you would ideally like to set up a new space to maximize not only how you would use the space but also how it could be a better fit for your lifestyle. Downsizing is a compromise, and while it may feel like there are sacrifices, in the end it will be well worth the effort. Make a list of what must go with you and what won’t fit into your new home. Couples can make separate lists and then collaborate to revise them if needed (this works for the kids too). An easy exercise is to think about leaving everything in your old home behind – then ask yourself what you would absolutely have to replace in order to live comfortably. If there’s a frequently used piece you want to take but it won’t fit in the new space, think about a smaller, more practical replacement that might offer multi-use options. cabinet shelves so that those items in the back are more easily accessible. that slide out-of-sight under a bed (great for off season clothing or kid’s toys).